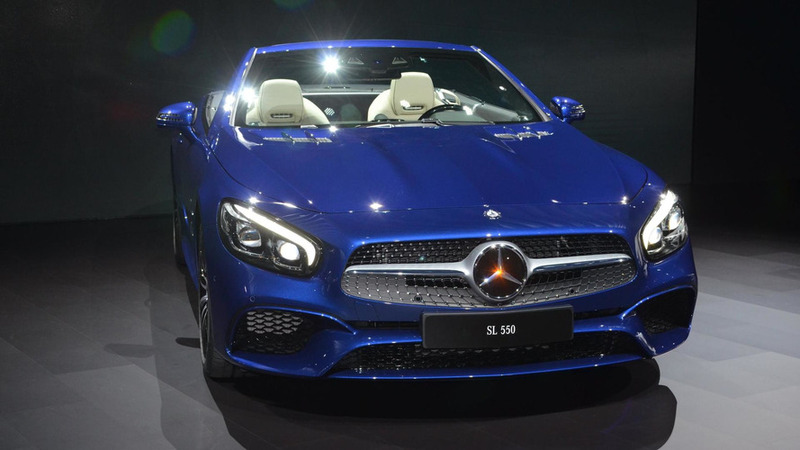 The first official images depicting the refreshed Mercedes-Benz SL have leaked to the web ahead of global premiere at the Los Angeles Auto Show later this month. 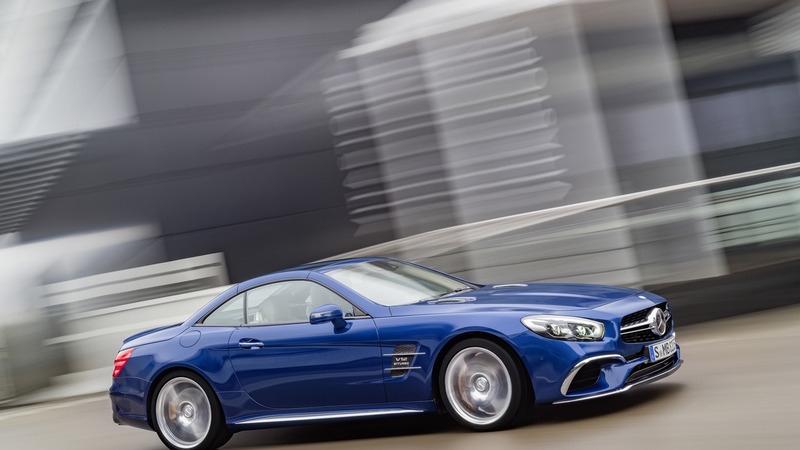 The first official images depicting the refreshed Mercedes-Benz SL are out prior to its global premiere scheduled for the Los Angeles Auto Show later this month. What we’ve got here is a batch of 37 high-res photos of the roadster in standard, AMG 63 and AMG 65 versions. The regular model is getting a large diamond grille, AMG-GT-inspired LED headlights and a restyled front bumper with large air intakes. At the back we noticed redesigned taillights with all-red graphics, a new massive diffuser and new chrome exhaust pipes. 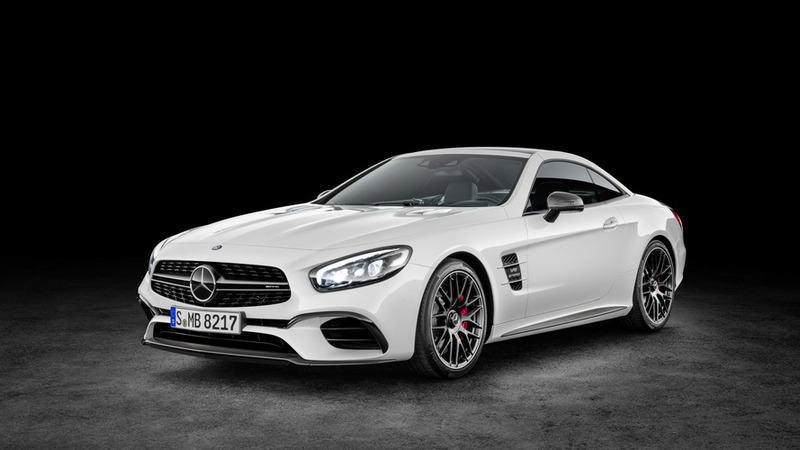 The SL AMG 63 gets different radiator grille, as well as carbon fiber accents for the bumpers and the side sills and multi-spoke black wheels with Continental ContiSportContact tires. The range-topping SL AMG 65 comes with silver accents for the bumpers, polished multi-spoke wheels and V12 BiTurbo badges on the fenders. More important changes have occurred inside the cabin where we find slightly bigger display on the center console, a new watch on the dashboard, carbon fiber accents for the AMG models and a new controller for the driving modes. It allows the driver to select from five different modes - Individual, Comfort, Sport, Sport+ and Race. Next to this controller are the buttons for the ESP and suspension settings. In technical terms, the roadster will receive “more powerful engines” and a 9-speed 9G-TRONIC automatic gearbox. Other highlights include the Active Body Control system with curve tilting function. We still don’t have information about the engine range of the roadster that will be detailed as the car debuts in Los Angeles later this month, so stay tuned.